Most Shocking Discovery In History! 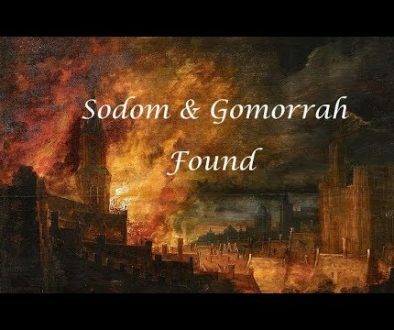 A Find of Epic Proportions Proves Authenticity of Bible! to the unbelieving! But the antichrists of society DO NOT want you to know this. They do not want you to know the Jesus Christ is the Messiah or that God’s Word is perfect and Holy Spirit inspired! I have followed Ron’s findings for nearly 20 years now..even during a time when many things were taken off the net for a season ; I figured the reason was these politically charged things with the birthright wars in the Middle East rage…let alone the Jewish agenda..I was harassed on my visit up on the Temple Mount and on the walk out the Damascus Gate over to the area behind the bus station,which is cluttered with trash and feral cats, seeming like a very indistinct place that is so close to where the ark is , it was prayer that allowed me to walk there, putting one foot in front of another it was so charged in battle. ..I remember Ron had said he was told by the messengers(angels)under the ground in the Ark chamber , that he was to set the commandments on a kind of shelf and that the actual Ark would not be seen widely until the time of antichrist was revealed or maybe it was the two witnesses and only then as a testimony of His Power and to confirm all things.But , I am just going on memory.I am grateful for your work …Shalom. I have followed Ron Wyatt’s discoveries for the last 7 or 8 years. I have always wondered what has happened to the video Ron took in the cave which he claimed shows the Ark and the four Angels that were sent there to watch over it. I personally believe that Ron really did find the Ark but because most people do not believe why can’t the world see the video proof if it really exists? Ron said himself that he believed that more people would come to believe through “show and tell”. Early in the interview, I heard you ask a similar question but it was never really answered. Ron tells what happened to the video in his testimony. He took it back into the chamber and the angel instructed him to leave the video on the shelf in the chamber. I’ve thought about the VHS tape, too, & wish it had been a DVD! But they weren’t in existence then…. I believe our Creator has preserved the fragile VHS tape as He did Christ’s blood on the Mercy Seat! All Glory, Honor & praise to the Lord Jesus Christ! Aren’t we now the TEMPLE? With the covenant written on our heart?